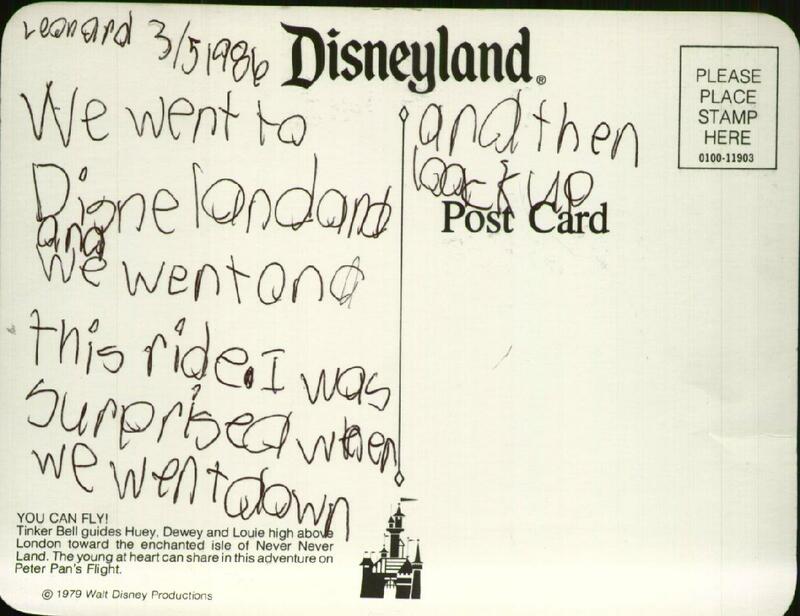 We went to Disneland and we went on a this ride. I was surprised when we went down and then back up. 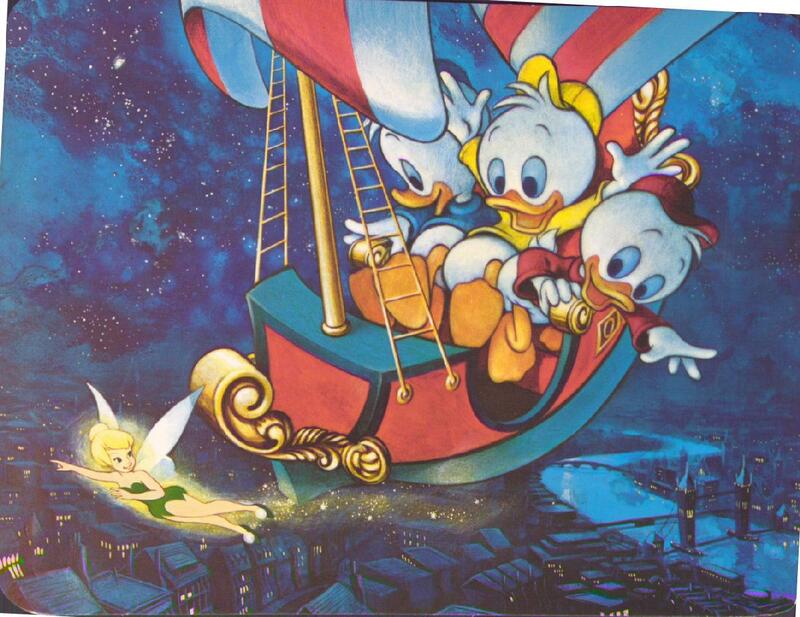 Tinker Bell guides Huey, Dewey and Louie high above London toward the enchanted isle of Never Never Land. The young at heart can share in this adventure on Peter Pan's Flight. Yeah, that's the one-two punch that keeps 'em coming back.